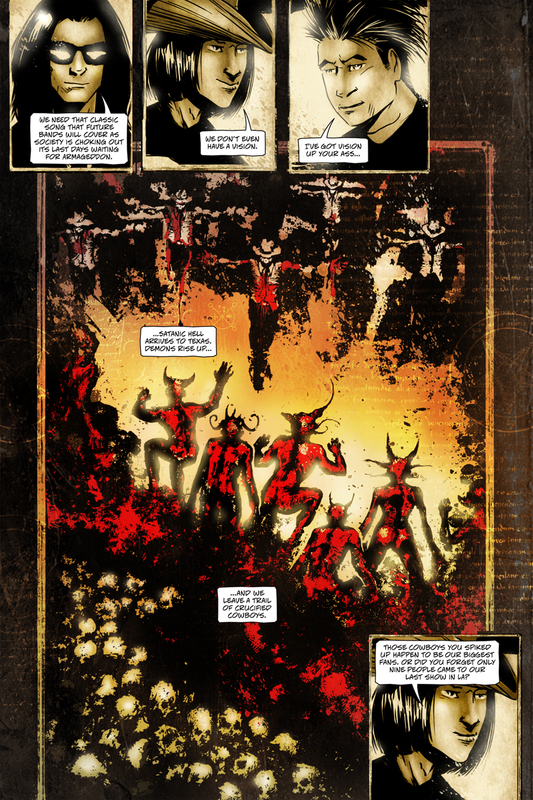 The Fellowship has obtained a first look at SATANIC HELL Vol.1 from Alterna Comics. 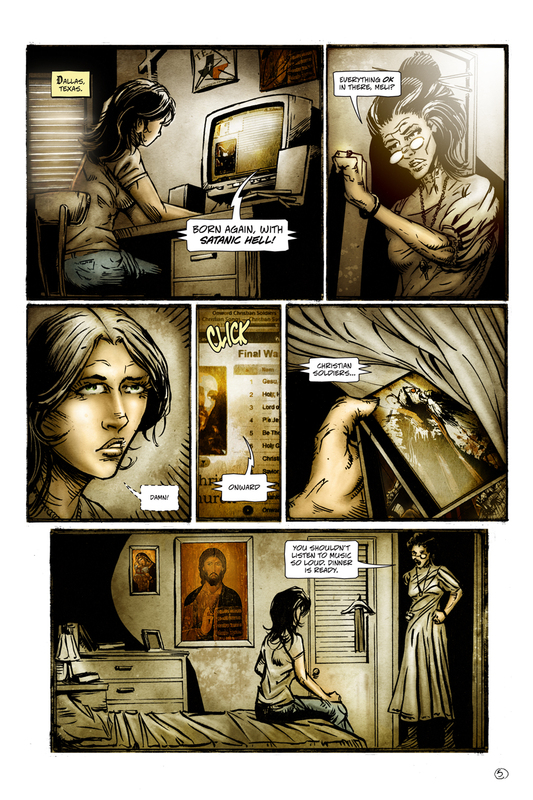 The graphic novel, which hits ComiXology March 23rd, is written by Grigoris Douros with art by Kevin Enhart, Newel Anderson, Jimmy Kerast, and E.T. 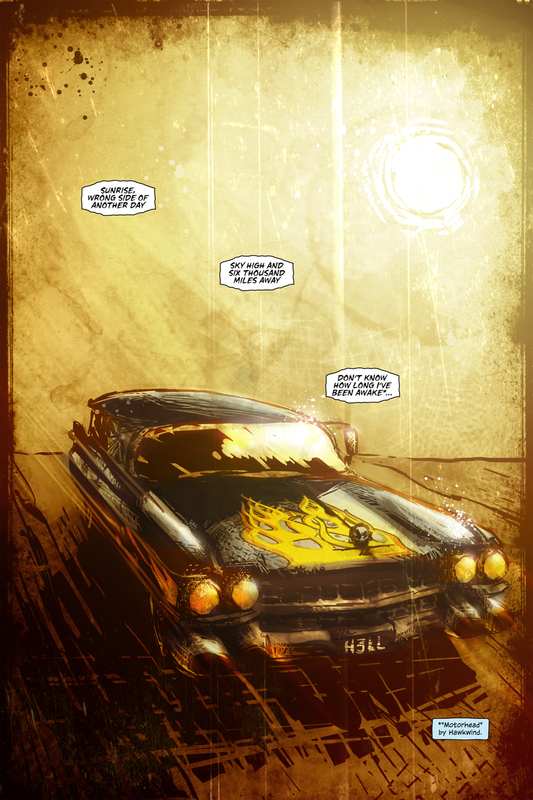 Dollman. 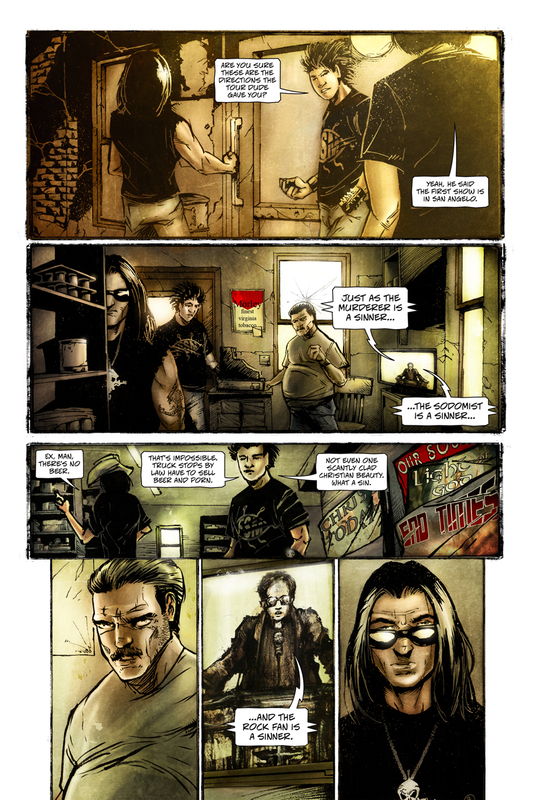 “A bold and rambunctious rock’n roll tale” - Fanboy Comics … Broke and directionless, the three members of the metal band Satanic Hell arrive in Texas for a chance tour set up by a mysterious promoter. 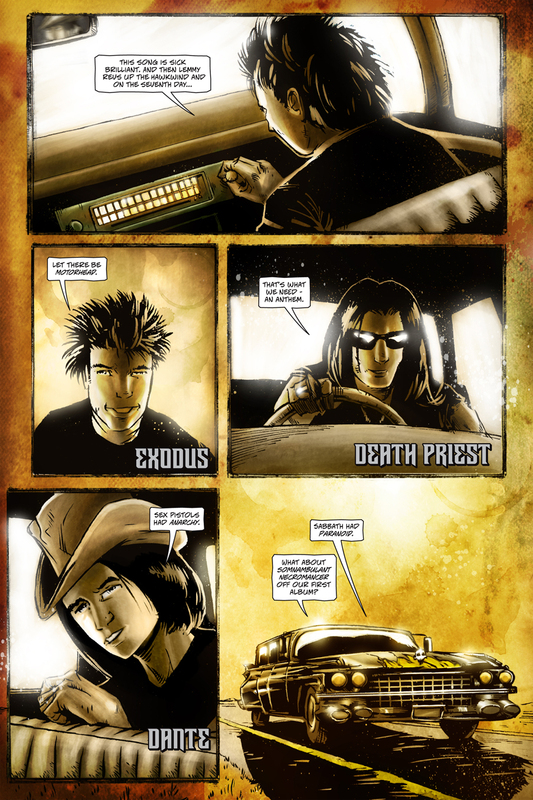 Death Priest, Dante, and Exodus quickly find trouble in the bizarre world of Texas, now controlled by a council of religious fanatics. 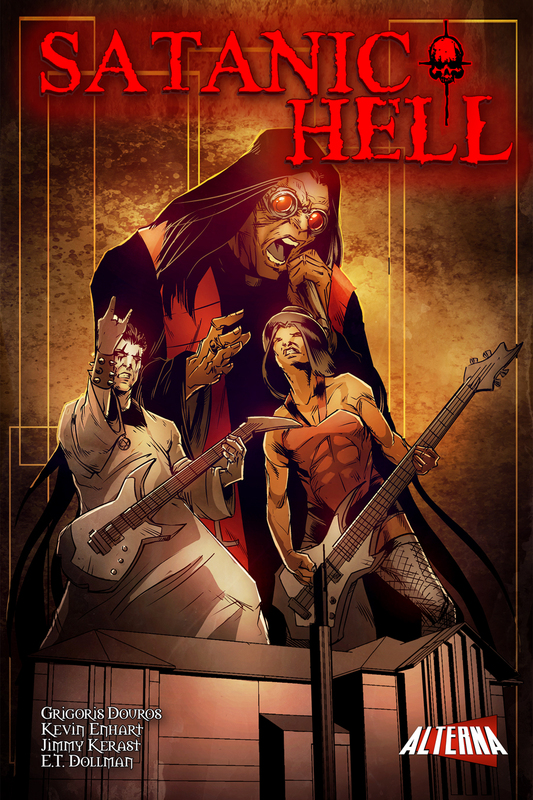 The quixotic tour is Satanic Hell’s last chance to keep their rock'n roll dreams alive but doing so means going through their own version of hell on earth. 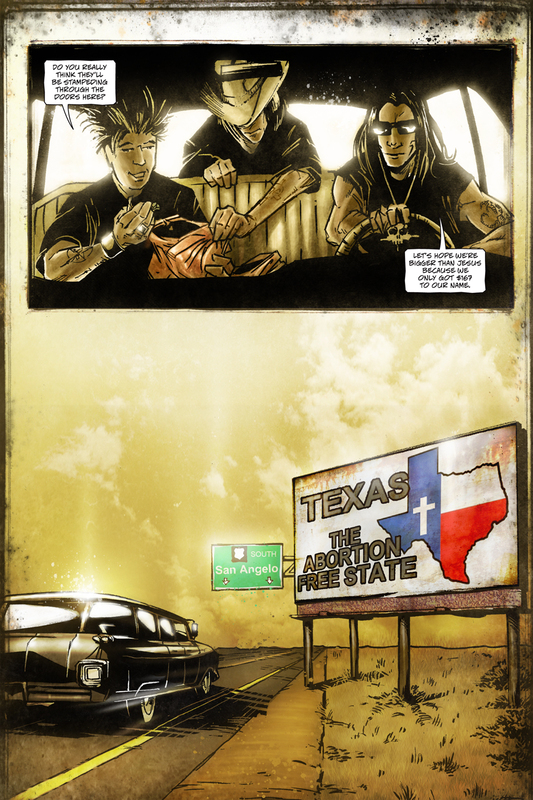 Can three guys in a metal band save the Holy State from itself and survive? 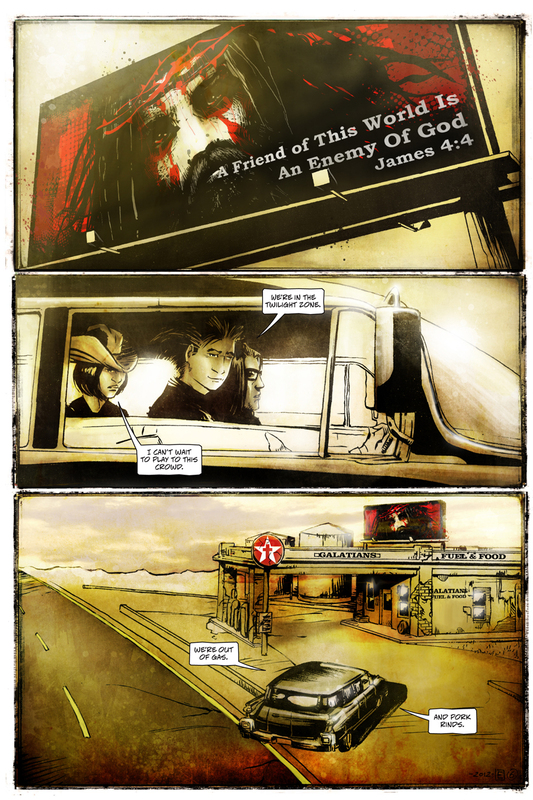 This is the complete seven-issue series of the metal band's raucous tour through the dystopian Lone Star State. 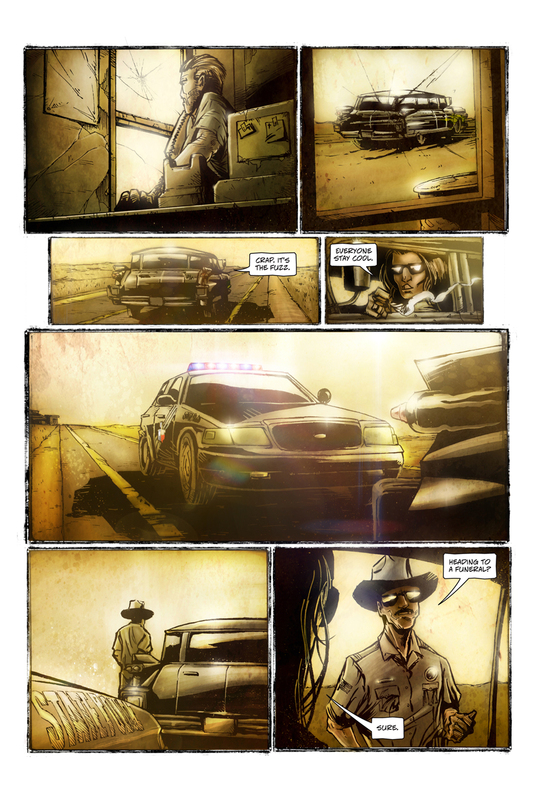 200 epic pages with added bonus material!